“Bully,” a gut-wrenching documentary by filmmaker Lee Hirsch chronicling the bullying epidemic in America’s schools, opens in theaters across the country Friday, but not in the Santa Clarita Valley. Released by the Weinstein Company, the film premiered at the Tribeca Film Festival in 2011 and opened for limited engagements in Los Angeles and New York March 30. “Bully” is set to expand into a total of 55 markets on Friday. However, managers at both the Edwards Valencia and Edwards Canyon Country theater complexes, owned by the Regal Entertainment Group, confirmed Thursday and today, respectively, that the movie won’t screen at either location. “We’re the designated arts theater in the Santa Clarita Valley,” said Katriana Lahero, Edwards Canyon Country manager. As of Tuesday, though, “Bully” was not on the schedule of films opening there Friday. “Bully” has earned generally positive reviews in its limited engagement. It was released to theaters unrated after the Motion Picture Association of America wanted to assign it an R (restricted) rating due to a half-dozen instances of the f-word being used by school bullies. After much controversy that called into question the relevance of the current movie ratings, a compromise was reached. The filmmakers edited “Bully” to soften the f-bombs, and the film was granted a PG-13 rating. Thirteen million students will be bullied in the United States this year, and three million kids are absent each month because they feel unsafe at school, according to statistics on the “Bully Project” website. “I think everyone should see ‘Bully,’ because it shows in graphic detail what it’s like to be bullied, and I think that bullies should see the impact they have on kids,” said Marisa Watkins, who has Asperger’s syndrome, a high-functioning form of autism. A graduating student at Sequoia Charter School and in the Transitional Learning Center program at College of the Canyons, the 18-year-old Stevenson Ranch resident was taunted, mocked and physically bullied in junior and senior high school (Rio Norte, Golden Valley and Canyon), and has been involved in anti-bullying efforts at local schools for several years. A Special Olympics athlete and coach with 53 gold medals in a variety of sports, including snowboarding and skiiing, Watkins serves as the organization’s Global Ambassador, speaking at schools and fundraisers designed to raise awareness of its services and resources for special-needs students in and around the Santa Clarita Valley. She is also a coordinator for Project Unify, a Special Olympics-related inclusion program at West Ranch High School that combats bullying, both physical and verbal. Project Unify is mounting a “Spread the Word, End the Word” campaign to stop people from using the “R-word” (retard). West Ranch students also started a club called the “Special Olympics Society” that helps with volunteering and fundraising. While the “Bully” documentary focuses on special-needs students terrorized in schools in the American Midwest and South, it’s a national problem, and as Watkins and her peers can tell you, bullying is just as prevalent in the Santa Clarita Valley as anywhere else. “Most of the time when they’re bullied, some kids react,” Watkins said. “Autistic and Asperger’s kids get bullied the most because they’re either stuck in a conversation or they become different because they stick out if they’re having a meltdown,” Watkins said. “That’s when they get bullied the most, because some people with autism are non-verbal. They make noises, and that’s how they try and communicate. Watkins urges students who are being bullied to tell their school administrators. 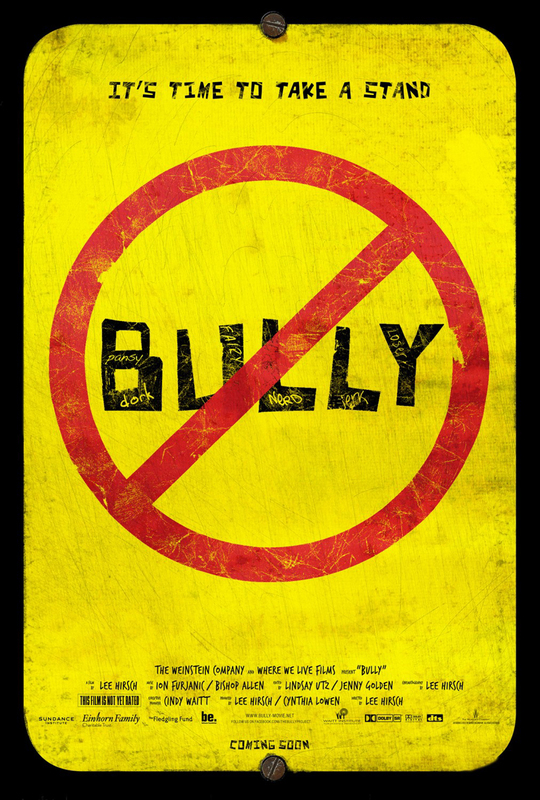 “Bully” is now showing at the Arclight Hollywood, Landmark and AMC Century City theaters in Los Angeles. Santa Clarita Valley residents may “demand” that “Bully” be screened here by voting online.